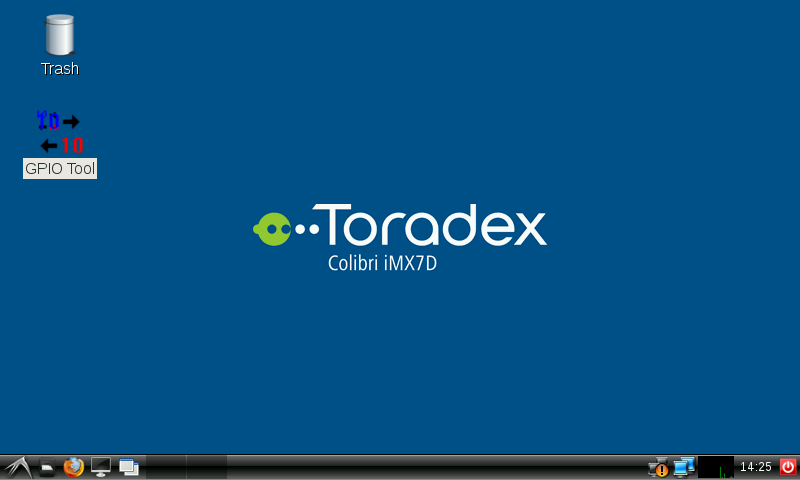 Have a look at the table available in the "List Functions" chapter of the Colibri iMX7 datasheet. 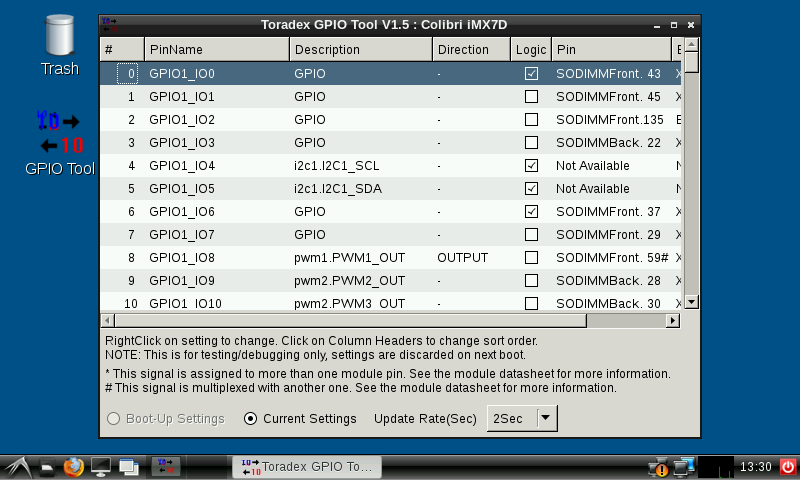 It provides a list of most of the iMX7 pins available on the SODIMM connector. The SODIMM pins we are interested at are connected to the iMX7 SoC and have names defined by the iMX7 Ball Name function. Each pin is multiplexed to have a specific function - among them GPIO, therefore the ALT5 function is the column that we are interested at. 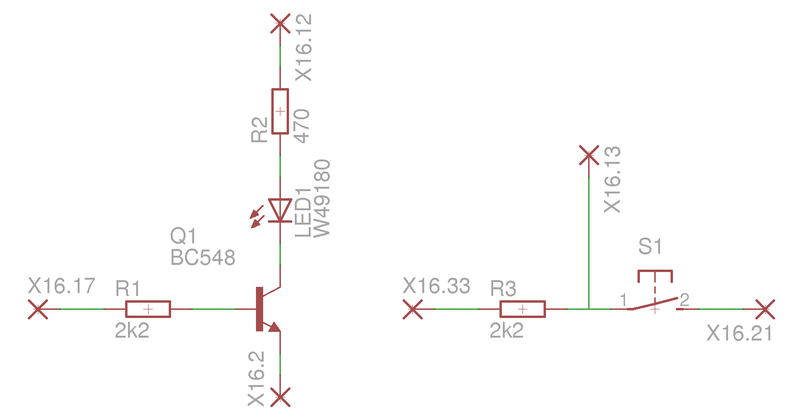 Use jumper wires to connect GPIO 139 to GPIO 115. Locate the pins 139 and 115 in the table. 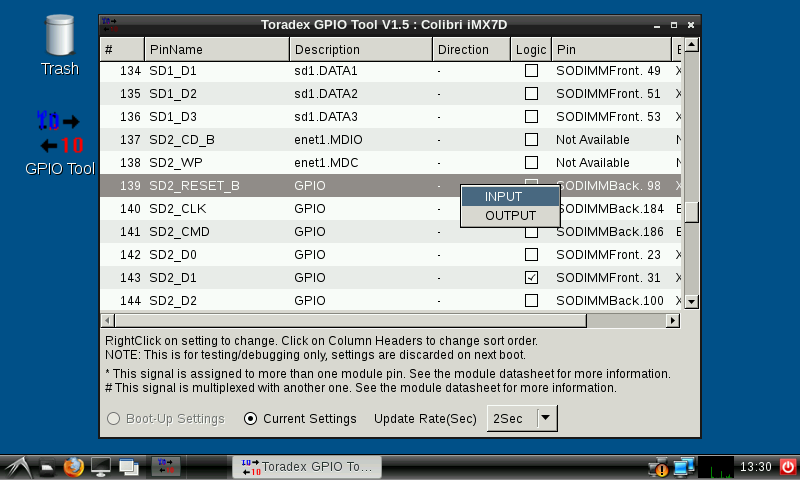 Right click the direction of each of them and configure pin 139 as INPUT and pin 115 as OUTPUT. See the changes reflected in the application. 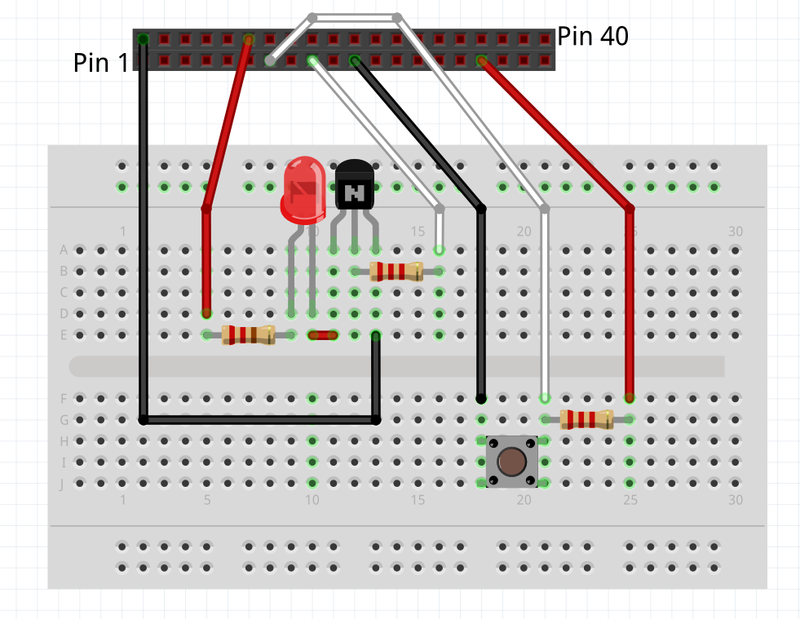 Click the Logic checkbox of pin 115 and see the logic checkbox of pin 139 switch on/off. Use jumper wires to connect GPIO 115 to 2k2Ω resistor, connect the resistor to transistor base pin, connect pin X16.12 (5V) from iris to 470Ω resistor, connect the resistor to one LED and connect to transistor collector pin, connect the transistor emitter pin to pin X16.2 (GND) on Iris Carrier Board. 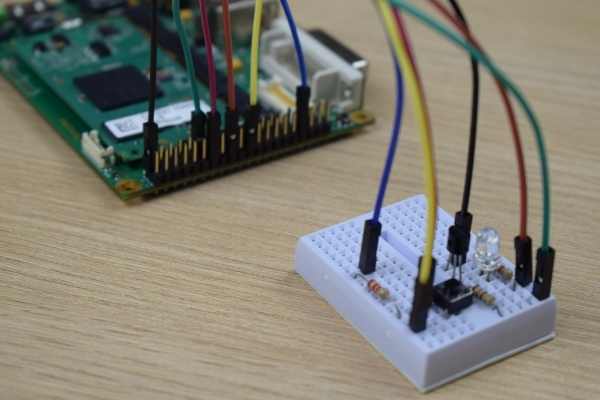 Use jumper wires to connect pin X16.33 (3,3V) to 2k2Ω resistor, connect the resistor to one switch and to GPIO 139, and connect the node to pin X16.21 (GND) on Iris Carrier Board. 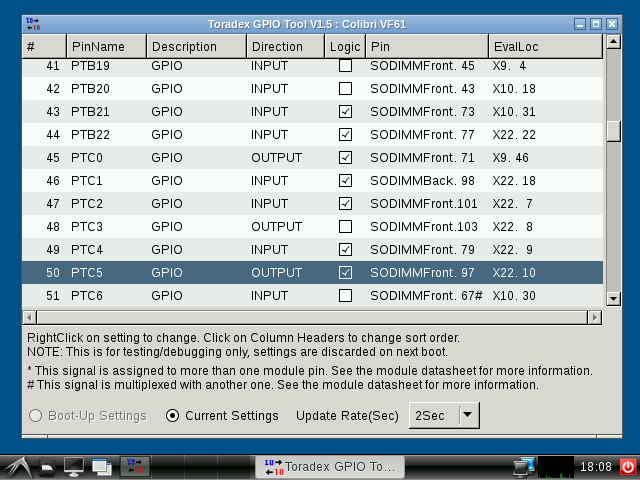 See that the pins 139 and 115, configured as input and output in the previous steps, are the only ones taken by sysfs and are correctly configured as in and out respectively.